Mechanics are dealing with a higher number of suspension problems, largely due to the poor state of local roads, according to the RAC. It said that call-outs to breakdowns caused by suspension or spring-related faults jumped by a third last year. The service also dealt with a 30 per cent increase in calls to hybrid car owners who had broken down due to wiring faults, while problems with speed limiters increased by 29 per cent. Whether you run a call-out service or are based in the workshop, keeping up to date with the major issues you are likely to face is a key part of a mechanic’s business. You also need to make sure that both your motor trade insurance and road risks insurance is at the right level for the kind of work you’re doing. The RAC says that many of the suspension issues it dealt with last year were thanks to problems such as potholes on the roads. 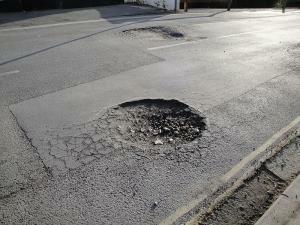 Although the Government is investing around £6 million to improve rural and urban roads, they are still a major issue for motorists. Ben Wilson, the call-out group’s Patrol of the Year, told Auto Express: “The increase in suspension and spring faults might well be as a result of the continuing poor state of local roads – while motorways and other major routes are part of one of the biggest improvement programmes in a generation. He said the increased number of calls for hybrid car wiring issues was a result of the higher volume of alternative fuelled cars on the road. The number of hybrid vehicles sold has increased by around a third since 2014. The overall biggest reason the RAC was called out in 2015 is not a new problem, however. One in five calls for help came from motorists with flat batteries.